Five Easy Ways to Increase Your Fiber - Trader Joe's Style - Booty MD | Dr. T.
Fiber. Everyone has heard that we need to increase it in our diets. But why is it so important? The bottom line: Low fiber intake is the leading cause of most of the constipation and booty problems people experience. 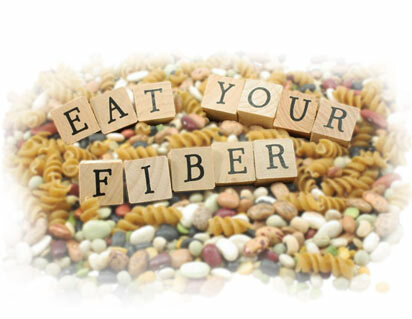 Keep in mind that fiber has even more benefits beyond improving bowel movements, including decreasing the risk for heart disease or developing type 2 diabetes, and helping you lose weight by making you feel fuller for longer. With fiber, the more you get, the better. So how can you increase your daily fiber intake? The most obvious way is by eating a lot of fruits and vegetables. But for the times that is not an option, here are five products you can get from Trader Joe’s that will give you a fiber boost, simply and quickly. * They’ll be a welcome addition to your intestines. Remember that your body needs at least 25-35 grams of fiber a day. People that constipate easily need higher amounts. However the average American eats less than half the suggested daily intake of fiber. Go ahead and try each of these so that you can come up with a daily fiber plan that works for you and leads you to have bowel movements that are quick and easy. Your body may produce more gas as you increase the fiber– that is why it is best to increase your daily fiber slowly. It may take a few weeks to reach your goal amount, but the benefits you will have at the end will be priceless. Happy pooping! Fiber is a carbohydrate that our bodies cannot digest, which is a good thing. Fiber is found in different amounts in all plants that we eat. It passes through our digestive system, absorbs water and increases the bulk of our stool making it easier to have a bowel movement. Big Booty: I love it, a lot. It is something really great or amazing. I might even say that I can’t imagine life without it. Standard Booty: I really like it. It is very good. Maybe not “First Class” level, but definitely better than coach. More like Business class. Pointers: At first taste, they are denser than your average muffin. But give them a chance. Eat one daily and finish the box before you make a decision of your preference. If you have one with your morning coffee, drink a large glass of water afterwards. Most importantly, refrigerate them the day you buy them as these mini cakes tend mold quickly. I warm them up before having mine, as it improves the taste that I have now come to crave. What is it? These small seeds of the chia plant are an edible cornucopia of nutrition. In addition to being rich in omega-3 fatty acids, protein, and many vitamins and minerals, one tablespoon of these seeds will give you 4-6 grams of fiber. Chia seeds are not exclusive to Trader Joe’s, but it makes the list because I think it should be a part of the one-stop high-fiber shopping list you should take with you to the store. Pointers: You can eat them, drink them, bake with them or put them in smoothies and juices. I like to add it to my yogurt just before I eat it so it maintains its crunch. It absorbs a large amount of liquid and develops a gelatin-like coating if left in the water or yogurt, so remember that the texture changes. Recommendation: Big Booty. It is versatile, easy to take and has virtually no taste. What is it? A low carbohydrate, high fiber tortilla. These all-natural, 60-calorie tortillas have 7 grams of fiber and a total carb count of 11 grams– pretty awesome stats for bread. They are not large but good enough for a wrap or quesadilla, and they have a pretty good flavor too. Pointers: Consider replacing your current bread choice with this. Not only will you be increasing your fiber intake, but this low calorie bread will likely help you lose weight. You must refrigerate these right away as many products that are natural mold quicker when left out. You can probably find these at other stores, but I have seen these consistently at all the Trader Joe’s I have visited. What is it? There are different high fiber cereal choices at Trader Joe’s. I specifically chose this one because each serving has 9 grams of fiber, with a lower carbohydrate content than the others. A serving size is 2/3 of a cup. Measure it and you will see that it is a significant amount of fiber in a small amount of cereal. Eat it for breakfast or as a snack to boost your fiber daily intake. Pointers: Don’t expect this cereal to taste like Cocoa Puffs. With half the sugar and 7 more grams of fiber per serving, it won’t be dessert for breakfast. But the taste is good and you can use it in yogurt or crumble it over ice cream if you want to enhance the flavor. Recommendation: Standard Booty: I like it as a cereal, but I don’t love that it has added caramel color. What is it? Looks like a standard granola bar, but it contains 9 grams of fiber. The fiber mostly comes in the form of oligofructose. This is a soluble fiber that has a sweet flavor but does not make your blood sugar increase and can lessen your desire to eat. It also acts as a probiotic, which stimulates growth of good bacteria in your intestines. It comes in two flavors, chocolate chip and peanut butter with 5 bars in one box, for less than $3 a box — a great deal. Pointers: I place this in my “fiber junk food” category. Although oligofructose is good for your intestines, it tends to cause gas and bloating in the beginning, give your body some time to get used to it. These bars are tasty but sweet. It is the most processed product on this list with a large number of ingredients. I think the best way to use this product is to have it take care of a sweet craving instead of reaching for a chocolate bar, candy, or other granola bar. It is also a great portable fiber snack for when you are traveling. Recommendation: Standard Booty. Good product in the processed food category. *Do not consume any products if you are allergic to any of the ingredients. This article is for information purposes and does not endorse any specific products and has no affiliation with Trader Joe’s or any of its subsidiaries.